Some areas of southwestern Minnesota are under "travel not advised" warnings. The dreaded April snow storm has hit Minnesota's roads, and has hit them hard. The Minnesota State Patrol says troopers responded to more than 300 crashes, 500 vehicles spinning out and 40 jackknifed semis on Thursday. 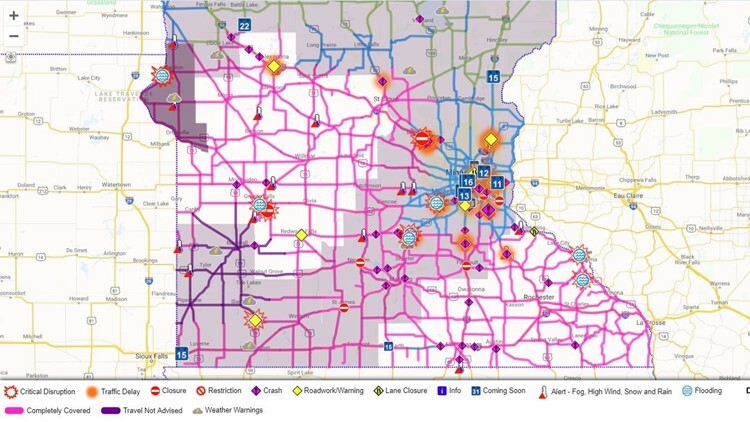 Roads across western and southern Minnesota are "completely covered" with snow, according to MnDOT's 511 travel map. Areas in southwestern Minnesota are under "travel not advised" warnings. In a Facebook post the State Patrol says roads are slick across much of the state and visibility is a factor in parts as well. A portion of I-94 eastbound between the County Road 18/39 interchange in Monticello and Country Road 19 in Albertville was closed due to a crash but reopened around 9:30 a.m.
MnDOT also reported that I-94 was closed in both directions between Clearwater and Augusta due to multiple semi crashes, but it reopened around 12:30 p.m.
Driving conditions around the state are slippery roads, heavy winds and low visibility, in some areas. A MnDOT spokesperson said Thursday morning that the biggest concern for MnDOT is low visibility from blowing snow. MnDOT says there are 187 plows out Thursday morning. 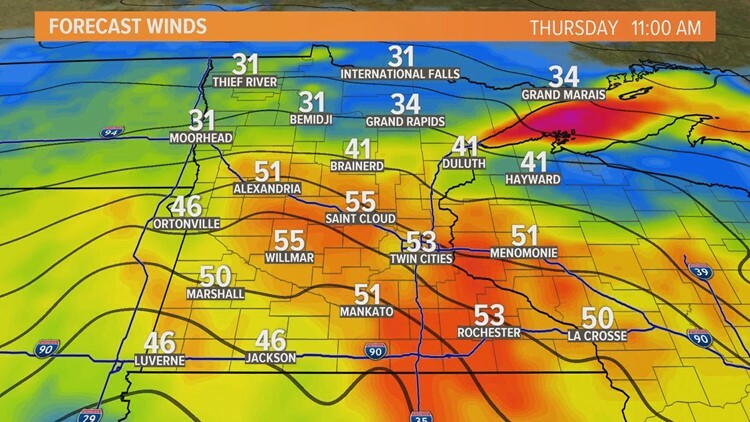 KARE 11 Meteorologists Belinda Jensen and Sven Sundgaard say winds will be gusting to over 55 miles per hour, and there is a possibility of over 8 inches of snow. A four-mile stretch of I-35 between Faribault and Medford was closed for a few hours on Wednesday, following dozens of crashes. The State Patrol said on Twitter that the stretch reopened at about 7:25 p.m. In addition to wind, snow and sleet, thundersnow is being reported across southern Minnesota. The National Weather Service shared a photo on Twitter of a southern area that is likely to get lightning and heavy snowfall. Both MnDOT and the State Patrol urged drivers to turn on their headlights during dangerous driving conditions. The State Patrol tweeted yesterday that they "shouldn't have to keep reminding people" about headlights, even in April. But the best way to avoid a crash during these conditions, according to the State Patrol, is the classic slow down. Be sure to take your time on the roads on Thursday and Friday and stay safe. View the latest forecast, live radar, traffic maps, and school closings.